Nearly 65 years after the U.S. Supreme Court ordered all of the nation’s schools to integrate, effective segregation remains in the public schools which educate about 90 percent of the nation’s students. 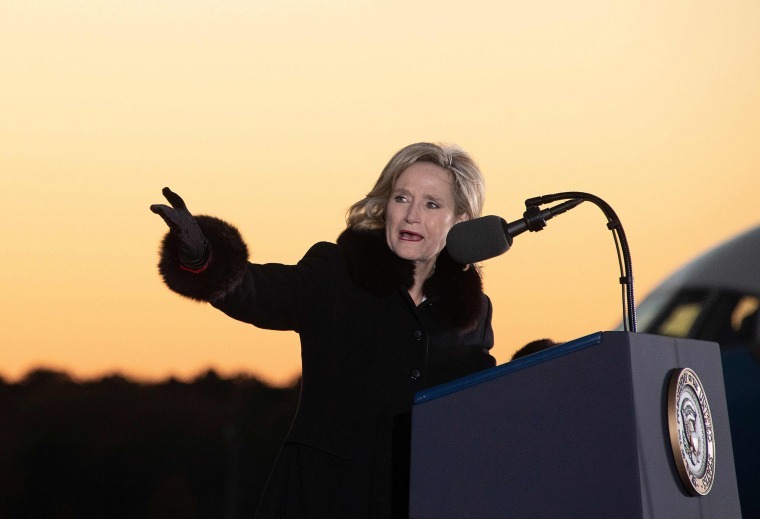 Cindy Hyde-Smith — daughter of the American South, Republican Senatorial candidate from Mississippi and maker of what she’s described as jokes about a public hanging and making it more difficult for liberals to vote — wasn’t just born to the segregated South. She was reared and educated in the region’s culture of racial apartheid. Smith graduated from a so-called "segregation academy," one of hundreds of private schools founded by white parents in the 1960s and 70s after courts ordered public schools to desegregate. The revelation from the Jackson Free Press that Hyde-Smith attended this school obscures a larger and pressing truth about America today. Nearly 65 years after the U.S. Supreme Court ordered all of the nation’s schools to integrate, effective segregation remains in the public schools which educate about 90 percent of the country’s students. And while private schools accurately be described as highly diverse spaces, the public schools most students attend are shaped by policies and practices which have rolled back integration gains made after the Supreme Court’s Brown v. Board of Education decision. Segregation is most intense in major cities and their suburbs. For black students, public schools in the South have actually become the least segregated of any region in the country. Across the country about a third of all black and Latino students attend what the Civil Rights Project classifies as hyper-segregated schools. Those are schools where 90 percent or more of all students are non-white. For white students, the reverse is also true. About a third of all white students attend schools which are 90 to 100 percent white. The difference between Hyde-Smith’s school and the ones most American students attend today is that segregation academies were explicitly founded with the goal of creating and sustaining all white spaces. Parents, school administrators and the schools they created spoke about the school’s segregation aims openly, even celebrated them, Potter adds. At Hyde Smith’s Lawrence County, Mississippi, private school, the 1975 yearbook, aptly entitled, “The Rebel,” featured a photo of the school’s cheerleading squad. In it, Hyde-Smith poses with the school’s other cheerleaders surround a mascot dressed in what the Jackson Free Press described as a Confederate general costume, holding a Confederate flag. In Lawrence County, where schools remain subject to a court-issued desegregation order, Bridges has seen white parents go to what he described as “extreme lengths,” to get their children enrolled in one of the district schools serving elementary school students. An example of those extreme measures: borrowing or leasing land inside the assignment zone for this particular school, parking a mobile home on it but living elsewhere. The sought after school sits in a county that is about 65 percent white, 32 percent black and 2 percent Latino. But the school's student body is about 87 percent white. What’s happening in Lawrence County offers a small example of much larger patterns. Much like the parents leasing land and strategically parking mobile homes in Lawrence County, there is a history of white parents being convinced that attending an integrated school amounts to an educational sacrifice. Research shows that they are wrong, said Potter. Integrated schools tend to produce students with more advanced critical thinking skills and students who demonstrate more advanced leadership and problem-solving skills. Students who attend diverse schools are also more likely to grow up and live in integrated neighborhoods. In other words, people who have learned in classrooms where there are a variety of perspectives, people and experiences tend to emerge better prepared for life in the diverse country in which they will live. They are also intellectually better prepared for many of the careers which seem poised for expansion, Potter said. In Stamford, Connecticut, for example, district officials wanted to do something about the district’s racial and ethnic achievement gaps. After a 2007 Supreme Court decision limited the ability of districts to consider race in making school assignments, the district chose a different approach. Their goal was to balance the number of students who often struggle to keep up with their peers across the district’s schools so that each school had similar shares of struggling and high-achieving students. School assignments made in 2007 put about the same proportion of low income students, those in the process of learning English or living in income-restricted housing in all but two of Stamford’s schools. Between 2006 and 2013, the share of white and Asian students in the 3rd-8th grades who passed state math, reading and writing tests rose considerably. Achievement gaps also fell by a third between Asian and black students in reading and math. Also, by 2013, more of both low income and middle class students passed eighth grade reading, math and writing exams and achievement gaps between groups declined in all subjects. Since a 1974 Supreme Court decision banned almost all mandatory school integration plans involving students from urban and nearby suburban districts, the status quo in most school districts has included assigning students to schools based on the student’s address alone. It has also included state school funding systems which make no attempt to even out big differences in property tax revenue collected by rich and poor school districts. Some districts have even drawn what Potter called "gerrymandered” school assignment zones where kids from wealthy or middle-class neighborhoods attend one school while kids who live just a block away in public housing get assigned to a different school. In districts where parents are offered a range of enrollment options, many districts fail to make sure that poor parents working shift jobs who do not own cars or computers have the same opportunities and information needed to make a choice as wealthier parents with listservs, multiple vehicles to make school drop-offs and schedules they control. When that happens, school choice can contribute to school segregation.